This site was useful to me when I was working on my Moro / Philippine Rebellion wargame. The 25mm Old Glory Moro miniatures are neat, but I sometimes had a hard time telling what all the bits were. This site helped me make some sense of the weapons the figures were carrying. Rorke’s Drift has captured the imagination as one of the greatest stands in history. Thousands of brave Zulu warriors versus a handful of stalwart British soldiers. What’s not to like? 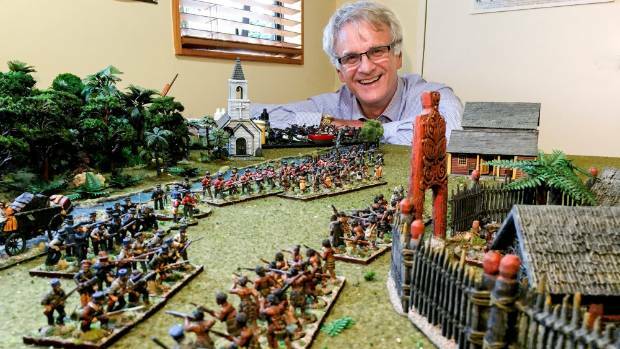 The battle is a staple for colonial wargamers. Steve Winter has these free wargames rules for Rorke’s Drift. To do a proper Victorian science fiction game, you’ve got to have characters with very British names. This site will help you out by generating proper british names. Wargamer Roly Hermans will recreate the Battle of Boulcott’s Farm.